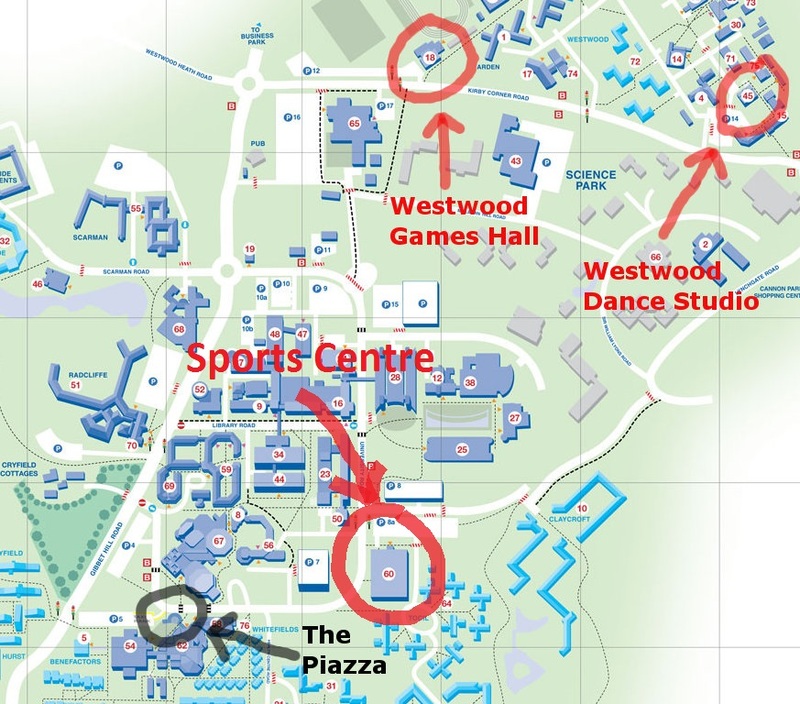 All sessions are in the Westwood Games Hall. Try to turn up to lessons 10-15 minutes early. Please wear a clean dobok (uniform) to each formal (ITF) training session. Beginners, please bring some loose-fitting clothing such as a t-shirt and shorts/trousers to provide freedom of movement. As a safety requirement, training is done barefoot and we request that you remove any jewellery. To officially join the club (and be covered by the Warwick Sport insurance), login to our Warwick Sports page and follow the instructions. If you wish to grade to a higher belt you will eventually need to buy a dobok (the white suit) which can be purchased through the club. If you want to pursue sparring then protective gear is available for purchase in Term 2 ,although this is not essential to continue training.